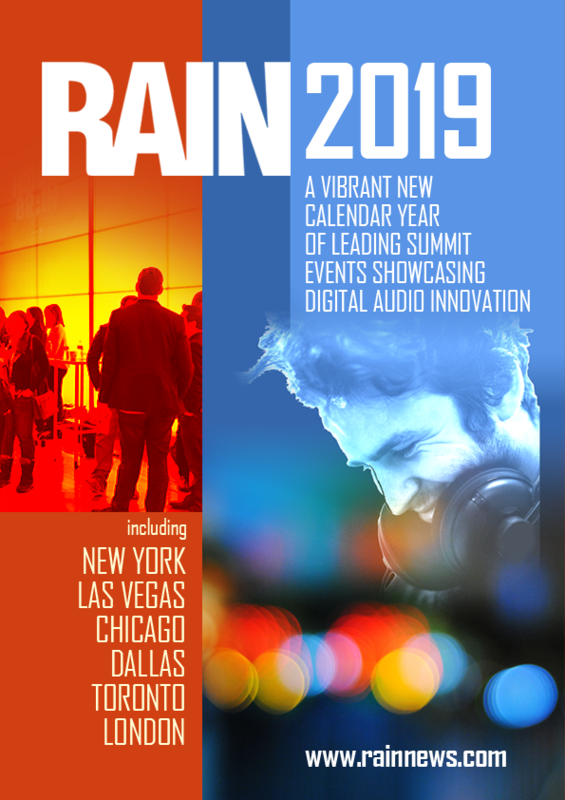 RAIN SUMMIT SPONSORSHIP AND ADVERTISING PARTNERSHIP OPPORTUNITIES 2019! RAIN proudly partners with major brands, groups, and companies in the digital audio, mobile, podcasting, online, on-demand, streaming and broadcast media space. We design innovative engagements to best showcase new media activity, core business strategies, and partnership opportunities. THE 2019 SUMMIT & MARKETING FLIPBOOK IS NOW AVAILABLE… CLICK THE COVER BELOW TO SHARE IN A BRAND NEW YEAR!